Situation: Occasionally, a KAATSU client maxes out on the KAATSU Nano at 400 SKU (Standard KAATSU Unit). That is, their Optimal Pressure reaches 400 SKU and they cannot go higher (i.e., apply more pressure). In these limited cases, the KAATSU clients feel that they can safely apply more pressure and workout at a higher pressure. But the maximum SKU on the KAATSU Nano is 400 SKU, so they max out. There is a simple solution in these limited cases. Short Answer: Deflate, manually re-tighten Air Bands as a higher Base pressure, and try again. Long Answer: KAATSU is based on two different pressures: the Base SKU and the Optimal SKU. The Base SKU is the pressure applied when the Air Bands are manually tightened on the limbs as the first step. Quite often, this Base SKU is not optimally set and is too loose - especially if a finger or two can be put in-between the Air Bands and the skin of the client. In some very limited cases among extremely fit athletes with sufficient KAATSU experience, the Base SKU can be north of 30 as long as the capillary refill time is within 3 seconds and there is no numbness or whiteness in the limbs. In some very limited cases among extremely fit athletes with sufficient KAATSU experience, the Base SKU can be north of 55 as long as the capillary refill time is within 3 seconds and there is no numbness or whiteness in the limbs. Copyright © 2015 by KAATSU Global, Inc. Courtesy of KAATSU Global, Huntington Beach, California. In Arizona during the 1990s, two-time High School Swimmer of the Year Misty Hyman started to put large rubber bands around her upper legs and upper arms under the guidance of her Hall of Fame coach Bob Gillette. Gillette was innovative and came up with the idea of placing big, thick bands around Hyman's arms and legs in order to restrict the blood flow to her extremities. After Hyman entered Stanford as America's most formidable high school star in 1997, she continued to use the rubber bands around her legs and arms during certain sets under the guidance of renowned Olympic coach Richard Quick. A few of her teammates tried the bands around their legs, but Hyman remained a lone star in the revolutionary training modality. Combined with her innate talents and hard work, her training regimen worked as Hyman graduated from Stanford University with 9 NCAA titles to her credit. Most famously, Hyman put all those years of training to good use when she pulled off one of the greatest upsets in aquatic history when she defeated Susie O'Neill at the 2000 Sydney Olympics. Defending Olympic champion Neill had not lost a 200-meter butterfly race in 6 years, but Hyman put it all together physically and mentally on swimming’s biggest stage in Sydney. When Hyman retired in 2004, the close of her career spelled the end of those thick rubber bands. But a young American coach, Christopher Morgan, was also on the pool deck helping Quick mold Olympic champions and NCAA record-holders at Stanford. He watched Hyman go from a high school star to Olympic champion. But he always wondered about those rubber bands. Why wasn't anyone using them? What exactly did the bands do physiologically? When the limbs are engorged in blood, what happens to the body? Hyman continues to be a role model for swimmers and people of all walks of life. Gillette currently serves as a USA Swimming Master Coach while Quick sadly passed away in 2009. Morgan found his own path to Olympics as coach of the Swiss team as well as a coaching stint at Harvard University. Morgan describes his pioneering KAATSU training with three young swimmers on his team. "Carson Christuk is a 16-year-old breaststroker. He has been using KAATSU Aqua 3 times per week after breaking his wrist and dislocating his kneecap during 2013. He says KAATSU has helped reduce and occasionally eliminate the lingering pain of his injuries. But it is the improvement in his best times that have been most satisfying. He was a 2:14 200 breaststroker in September 2013 and then dropped his time to 2:11 with a taper in December. After starting KAATSU Aqua in January, he pulled a 2:09 in February and then ripped off a 2:03 in April at the YMCA National Championships. Morgan has also used KAATSU with four of his disabled swimmers including 3 Para-National Team swimmers and 1 world record holder. “The Japanese use KAATSU Aqua bands with individuals who are missing limbs or who have had strokes. We place the KAATSU bands on both limbs of our disabled athletes while we carefully identify and monitor the pressure. While it may look like simple bands on the arms and legs, there is a specific protocol that Dr. Sato developed. 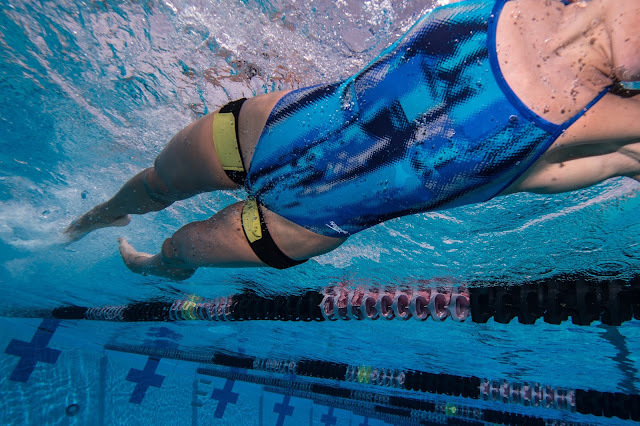 Like the American Olympic skiers and jumpers who use KAATSU, and the professional athletes in Japan, we look for a certain physiological state and then we work with our swimmers over intense, short periods with some pretty remarkable results." Dr. Jim Stray-Gundersen oversees KAATSU training with the U.S. Ski and Snowboard Association athletes where all the skiers and snowboarders incorporate KAATSU into their training regimen. 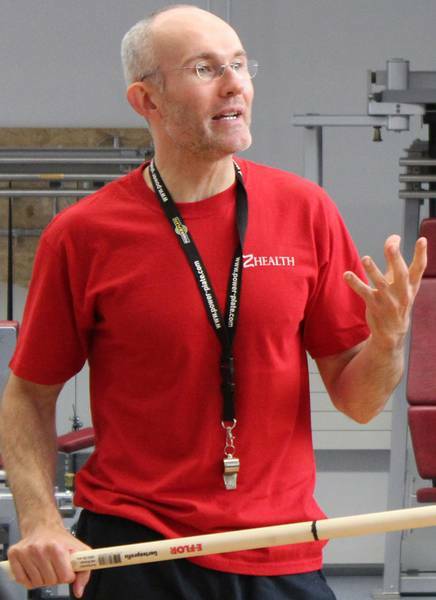 The Sports Science Advisor explains how he has applied KAATSU at the Center of Excellence in Park City, Utah. “When we have injured athletes, they can do both KAATSU and Alter-G in order to maintain their strength and aerobic conditioning as they recover. 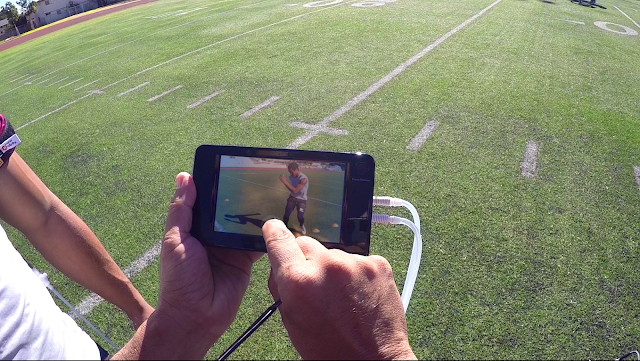 We are also starting to incorporate KAATSU training into the regime of our uninjured athletes. 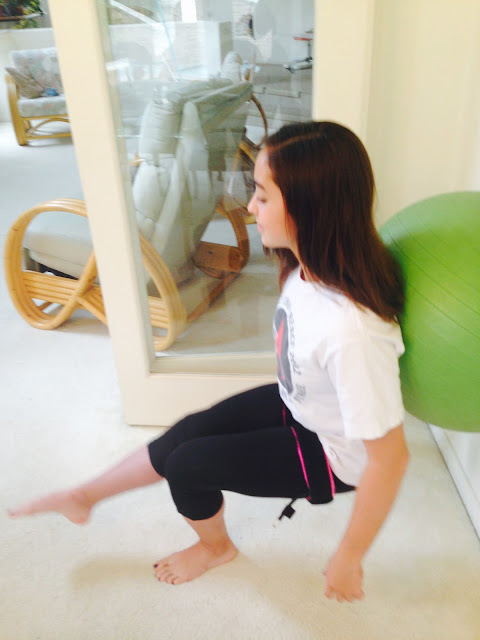 KAATSU allows safe (very light weights), maximal workouts to failure in short periods of time (about 15 minutes), with positive results coming in as little as 10 sessions." What Bob Gillette and Misty Hyman were working on in the 1990’s may have been more profound that they may have initially realized. 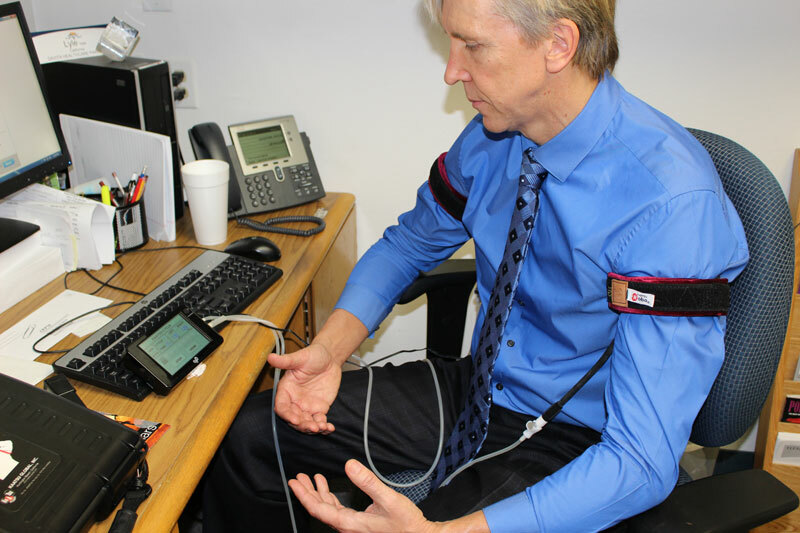 “When the KAATSU bands are applied correctly with the optimal pressure which is different for everyone [using the KAATSU Nano unit shown below], the arterial in-flow to the limbs is restricted and the deep venous out-flow is impeded,” explains Dr. Stray-Gundersen. “As the athlete moves, whether it is swimming or doing dry-land exercise, the capillary-venous space becomes distended and congested in the muscle distal to the KAATSU bands. Muscle contraction under these conditions of impeded blood flow and congested vascular space uses up intracellular phosphates energy stores and oxygen at a rate greater than the circulation can replenish them. As the athlete continue to exercise with the KAATSU bands, the intensity of effort rapidly increases. The discomfort they feel at the end of a race is quickly achieved during practice. “Consequently, as the tissue becomes more hypoxic and energy stores depleted, anaerobic glycolysis attempts to compensate by increasing its rate, which produces some ATP, but also produces a marked disturbance in muscle homeostatis that ultimately leads to muscle failure, or in other words, not being able to continue the exercises,” says Dr. Stray-Gundersen. The effects that have been seen in combative sports (boxing, wrestling, judo), baseball, rugby, and numerous winter sports in Japan and China are now beginning to be understood by Morgan and others in the aquatic world. Dr. Stray-Gundersen describes his perspective. “We think, but have yet to prove, that there is a "local" effect and a "systemic" effect from KAATSU training. When blood flow is restricted and muscle is asked to exercise with a restricted, engorged circulation, homeostasis is lost in the exercising tissues below the KAATSU belt. The development of hypoxia, acidosis and various other metabolites outside their normal concentrations, stimulates a positive adaptive response in the local muscle and vasculature. Increasing concentrations of Vascular Endothelial Growth Factors (VEGF), which has been shown experimentally, is an example of the "local" effect. In addition, we think there is an important "systemic response", where the loss of homeostasis is communicated to the brain (KAATSU practitioners are aware of the discomfort in their muscles) and the brain responds by increasing breathing and heart rate, as well as initiating an "anabolic" cascade. The release of growth hormone from the pituitary, which has been shown experimentally, is an example of this "systemic" response. This has the effect of causing muscle both distal to the KAATSU belts and proximal to the belts to adapt and get stronger. In essence, KAATSU presents a very effective and highly efficient mechanism that coaches and trainers can implement with their athletes to get increasing circulating levels of growth hormone and VEGF, that is otherwise difficult and very taxing to do." Essentially back in the 1990s, Hyman had a secret weapon in her training regimen that was far ahead of her time. While her strength off the walls, technique, stamina, and mental outlook all came together at the Sydney Olympics, Hyman had been uniquely developing her vascular system over the years. At the same time half a world away, KAATSU began gaining a foothold among athletes in Japan. Based on his own research and patented concepts and equipment, Dr. Sato began conducting medical and scientific research with the University of Tokyo Hospital and other researchers and physicians in Japan. With a rapidly aging population, KAATSU started to gain adherents throughout Japanese society. KAATSU was even used with comatose patients and those with neurological diseases. For every Japanese Olympic medalist who used KAATSU, there were many more individuals – from teenagers to their great-grandparents – who integrated the KAATSU in their fitness and rehabilitation programs. 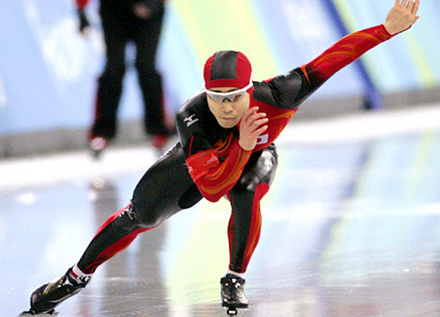 Last year, KAATSU has begun used by Chinese and American professional and Olympic athletes in various sports. Its first use in the aquatics world in the U.S. was by Vanguard Aquatics in Huntington Beach, California. Coaches Uros Dzelebdzic and Sasa Branisavljevic have quickly developed one of the best age-group water polo programs in the country. They continue to refine KAATSU’s use with their age group and high school players. But like Gillette, Dzelebdzic may only be scratching the surface of KAATSU. "Together with Dr. Sato, we established the Center for KAATSU Research at Harvard Medical School and the KAATSU Research Foundation,” says Professor Lansbury. “We base our research on the specific protocols for safe use that Dr. Sato discovered, researched, and confirmed over the past 40 years. Each athlete uses different KAATSU pressures that are appropriate to them; the coach confirms this pressure before workout which can differ from day to day. 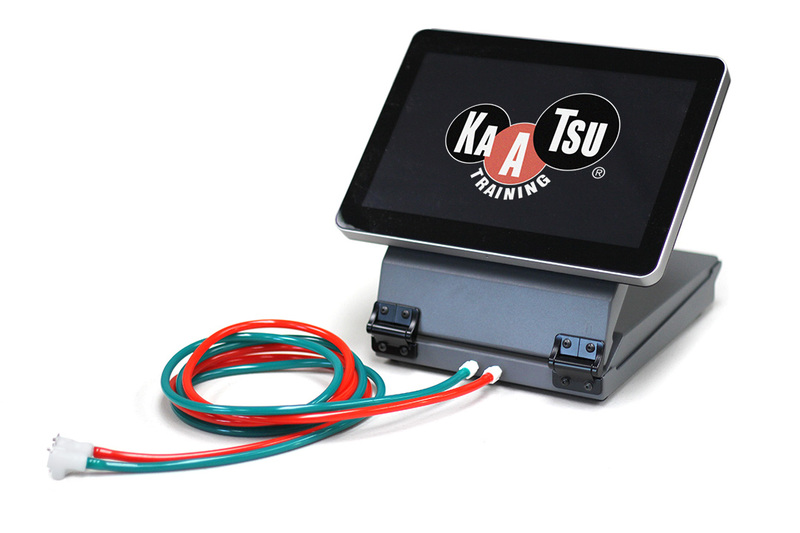 KAATSU Aqua will be introduced at the 2014 American Swimming Coaches Association World Clinic in Jacksonville, Florida this week. For more information, visit www.kaatsu-global.com. Dr. Lyle Nalli was surprised when his hearing went out after he hopped out of workout one day. "I just couldn't hear with my left ear," said the 53-year-old podiatrist from Huntington Beach, California. "I got out of the pool and thought there was water in my ear. It would not go away. I thought there was wax in the ear, but there was nothing. I took a hearing test that showed a loss of hearing, but the doctors did not know why." After consulting his colleagues in the medical community, he went in for an MRI. "It was positive for acoustic neuroma (AN), a swelling of the nerve," he recalls. The tumor was 3 mm in diameter and located inside his cranium between the inner ear and his brain stem. "After consultation, there were 3 options: just observe and let it be, gamma knive, and a surgery to excise it. I decided on surgery at the House Ear Clinic in Los Angeles with Dr. Slattery who I cannot say enough positive things about." 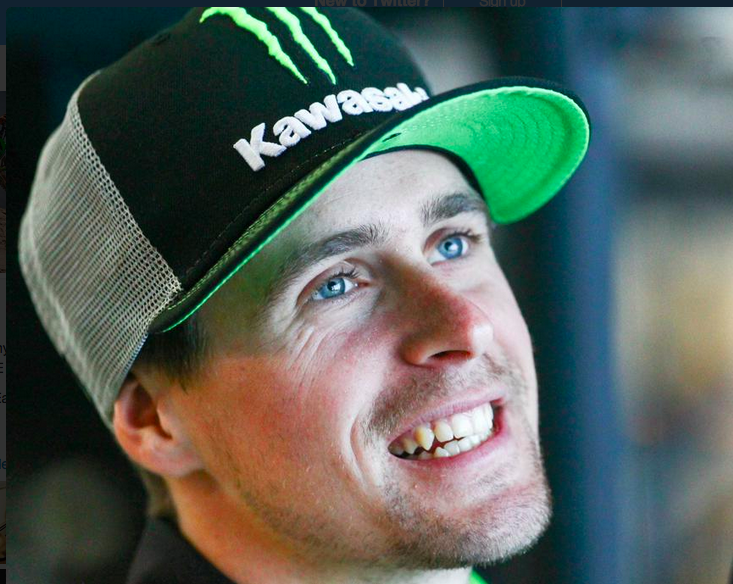 He decided on an immediate surgery because he felt he was healthy enough to get through the surgery, there was no chance of coming back after excision, and he could eliminate the worry for the rest of his life that the tumor was not getting bigger. For a man who has been training and racing all his life as a competitive pool and open water swimmer, health was not an issue. Not only has Dr. Nalli been a regular at local events, he has placed at World Masters Championships and was on a world record-setting Catalina Channel relay with his Long Beach Swim Focus teammates. 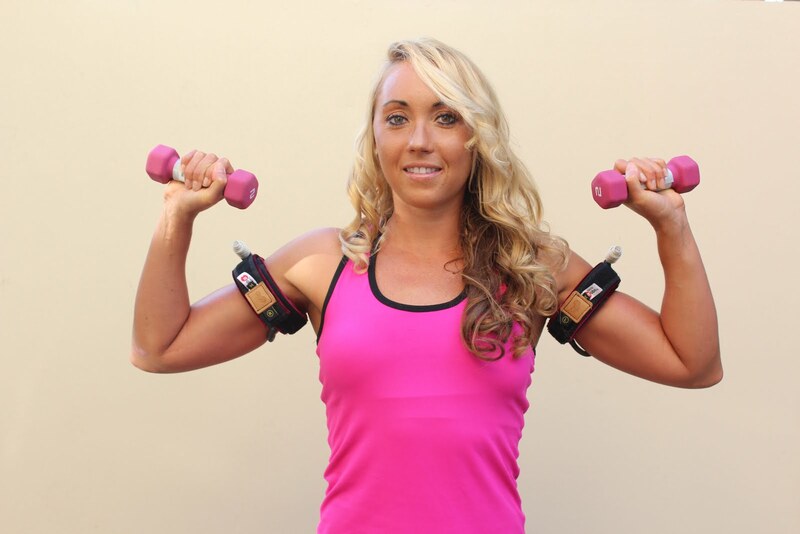 "The nurses and staff nicknamed me The Athlete because my resting heart rate was so low. In the Intensive Care Unit (ICU), my resting pulse of 38 beats per minute kept on tripping the alarm." Like his open water swims, Dr. Nalli knew the inherent risks, but he had prepared himself as best he could and left the preparations and guidance up to Dr. Slattery. "In surgery, he cut into my skill about the size of a quarter (24 mm) behind my ear. He drilled into my skull and then gave me a spinal tap and drained out the cerebral spinal fluid (CSF). This caused my brain to recede and gave the doctor some slack to work with. Then he made a cut to excise the tumor around the brain stem where the facial nerves, hearing nerves, and balance nerves are located. He cut out the balance nerves and then shaved off a bit of the hearing nerve in order to save my hearing. Six hours later, the benign, slow-growing tumor was out and he patched me all up." Dr. Nalli's story now becomes one of inspiration and shows the advantages of staying in shape as one ages. "I was in ICU for 3 days and then I stayed in the hospital for a week total. For the first day and a half, I went in and out of sleep I had a throbbing headache and a sick, sour taste in my stomach for 4 days. It was hard to sleep and I had this strong sense of smell of cat urine and burnt eggs. This taste and smell did not go away for days and I immediately lost 15 pounds while I was in ICU. I lost my sense of balance and my head felt like it was spinning when I did things like try to walk or read or watch TV. Patience and time were what was needed. Even after 7 days, I wasn't able to walk upstairs and listening to music and reading was just tiring. I learned patience." Fortunately, his healthy body built up over the decades through swimming got about to start healing itself quickly. "I just go around to waiting and watching. This was exactly the opposite from all my experiences in athletics and swimming. Imagine in swimming if a coach asked you to just do nothing in order to get better? But that is what I did." But time means different things to different people. And Nalli was definitely different. 3 days in ICU, 7 days in the hospital, and on the 18th day after 6 hours of brain surgery, Dr. Nalli ventured back to the pool. He was weak and his muscles had atrophied. He started to use KAATSU to gain back muscle and recover to where he was before. "After 2 weeks, Dr. Slattery was surprised at my recovery. I had to have help to walk and keep my balance. Once I got back in the pool, I was so elated to even kick. But I felt nauseous when I did a flip turn or even turned my head to breathe. I was very happy to be able to do 25 yards of freestyle, but I mostly did kicking. I was careful and couldn't do flip turns and even breathing side to side was tough. But day by day, I got better and used a swim snorkel. I started out doing 500 yards, then 1100 yards, then 1800 yards." Remarkably, less than 4 weeks from his skull being cut open with a drill, Dr. Nalli had gradually upped his distance to 5000 yards and was regularly doing KAATSU - both on land and in the water. "I just got in and decided to do a 500-yard swim. Once I was able to do that, I decided to do 1000 yards total [40 laps of a pool]. It is just progression. I am happy that I was healthy before the surgery. The wobbling is getting less intense and the dizziness is going away sooner. I entered U.S. Masters Swimming Nationals less than a month and competed in the 400 individual medley and distance freestyle." Dr. Nalli continued to do KAATSU every day during his recovery. He further augmented his physical therapy with KAATSU Aqua training on a near daily basis as part of his overall rehabilitation in a quest to return to his former swimming speed. 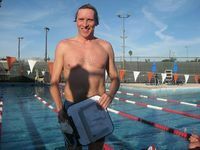 Some of his post-surgery workouts included using KAATSU Aqua Bands on his upper arms and upper legs in the pool, swimming 1-2 laps slowly while building up lactic acid that would normally result if he swam intensely. As his limbs become engorged in blood, he did KAATSU Aqua sets of 25 yards and 50 yards. He did anywhere from 200 - 800 yards in total distance with the KAATSU Aqua Bands as he reached failure when the lactic acid in his arms precluded him from swimming further - and served as a catalyst for a significant hormonal response. Looking at his sparkling blue eyes and wide smile, his joy in swimming was clearly evident and a credit to his positive mindset and a long life of healthful living.